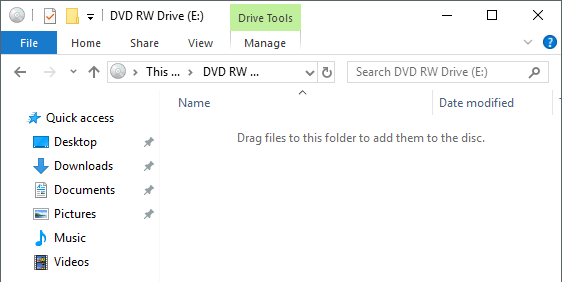 Recently, I was searching online for some free software to burn some CDs and DVDs at home, but then I realized Windows already has built-in burning software in Explorer. It’s actually been there for many years, but it’s so inconspicuous that I tend to forget about it altogether. Windows also gives you a cool option while burning CDs and DVDs called Live File System, which basically makes your CD or DVD act like a USB flash drive, meaning you can edit, add and delete files on the disc just like you do on a flash drive. 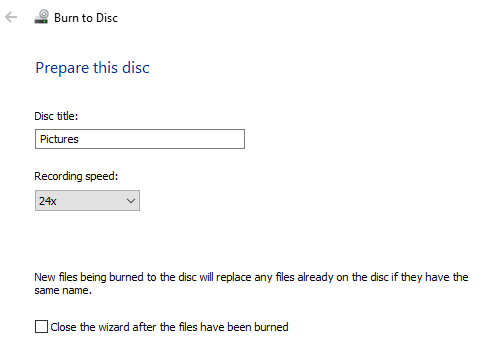 In this article, I’ll show you how to burn a data disc easily using just Windows. Read my other post if you want to learn how to burn audio CDs or playable DVDs. 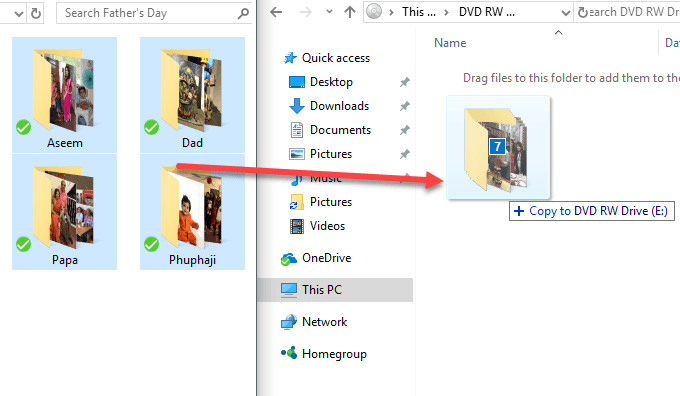 To get started, pop a CD or DVD into your Windows PC and you should see a dialog appear either in Notification Center or as an AutoPlay window. If no dialog box comes up for you, then just open Windows Explorer and double-click on the CD/DVD drive icon. Another box will pop up asking you how you would like to use this disc. Give the disc a title and then choose whether you want it to act like a USB flash drive or like a mastered disc. 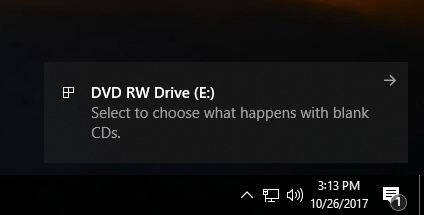 The disadvantage to using the flash drive option is that you can only use the disc on computers running Windows XP and higher. Obviously, if you are burning this disc for another device, like a CD or DVD player, then you should choose the second option. 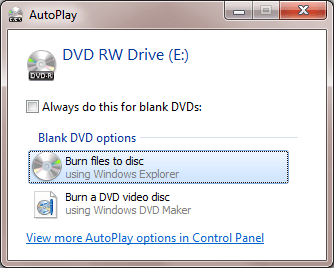 Next, you’ll get an empty Explorer window where you can start to drag and drop the files you want to burn to the disc. The best thing to do here is to open another Explorer window with the files you want to burn. Once you have copied all the files you want to burn, click on Manage under Drive Tools and you’ll see an option called Finish burning. 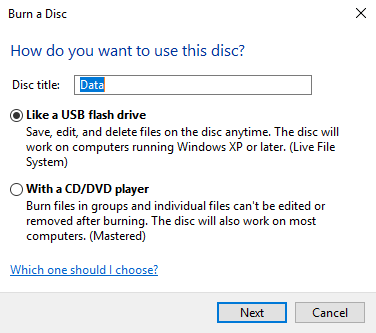 In Windows 7, you’ll see a Burn to disc option. The burn wizard will appear and here you can choose the recording speed. By default, it should automatically be set to the fastest speed your drive can support. 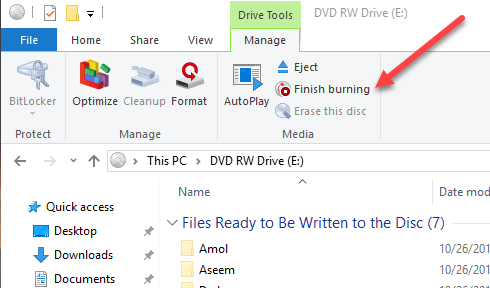 Once the burn is completed, you should get a successful message and the option to burn another disc. That’s about it! It’s a very simple and straight-forward process to burn a CD or DVD in Windows and you don’t have to worry about finding and installing third-party software anymore just to burn a few discs. Enjoy! Founder of Help Desk Geek and managing editor. He began blogging in 2007 and quit his job in 2010 to blog full-time. He has over 15 years of industry experience in IT and holds several technical certifications. Google Sheets vs Microsoft Excel – What are the Differences? CD or DVD Drive Won’t Eject or Open? What Does End of Life Mean for Software and Should You Care? Help Desk Geek is part of the AK Internet Consulting publishing family. Welcome to Help Desk Geek- a blog full of help desk tips for IT Professionals and geeks. My name is Aseem Kishore and I am a full-time professional blogger. I graduated from Emory University with a degree in Computer Science and Mathematics.